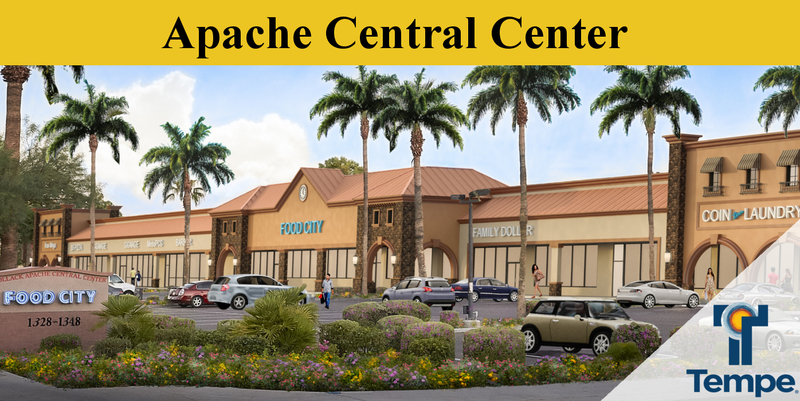 Apache Central Center is less than one-half mile from Arizona State University (ASU) which is the largest public university in the United States with a student population of over 82,000 students (2014). 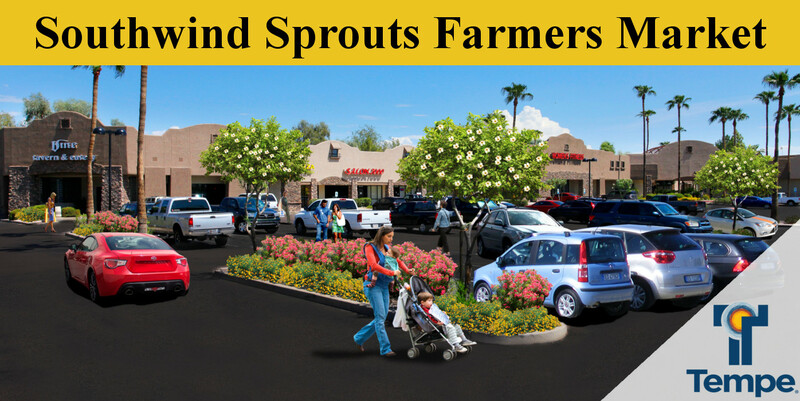 This centrally located shopping center is within approximately 2 miles of the US 60, Loop 101 and Loop 202 freeway systems. The City of Tempe has heralded themselves as the “Epicenter of the Metropolitan Phoenix Market” and regularly draws residents, consumers and commuters from neighboring cities such as Scottsdale, Mesa, Chandler and Phoenix. Food City Plaza, located on heavily traveled Scottsdale Road in Tempe, Arizona, is a unique center anchored by Basha’s Food City and Big Lots. Other notable tenants within the retail center include Rent-A-Center and Dunkin Donuts which help serve the needs of the local community. This retail center recently underwent a major renovation and would make an excellent location for almost any new, relocating or expanding business. 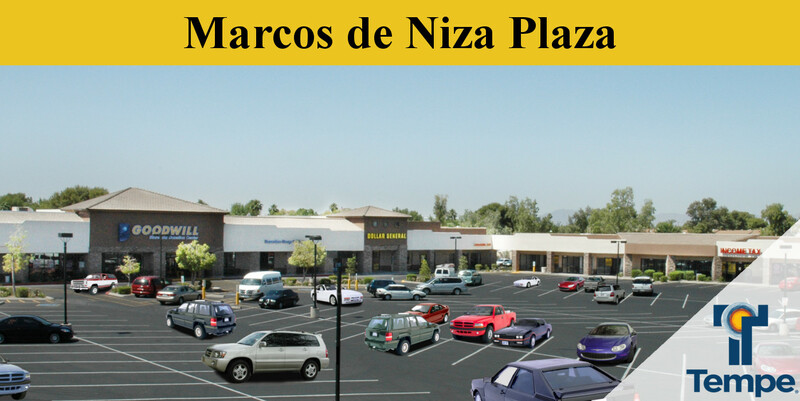 Marcos de Niza Plaza is located on the Southwest corner of Guadalupe and Rural roads in the vibrant city of Tempe, Arizona. Notable tenants located at the corner include Serrano’s Mexican Restaurant, Goodwill, Burger King and Domino’s Pizza. This recently renovated retail center was designed to attract a higher number of consumers with a new facade that included stone accents, tower features and exterior lighting. 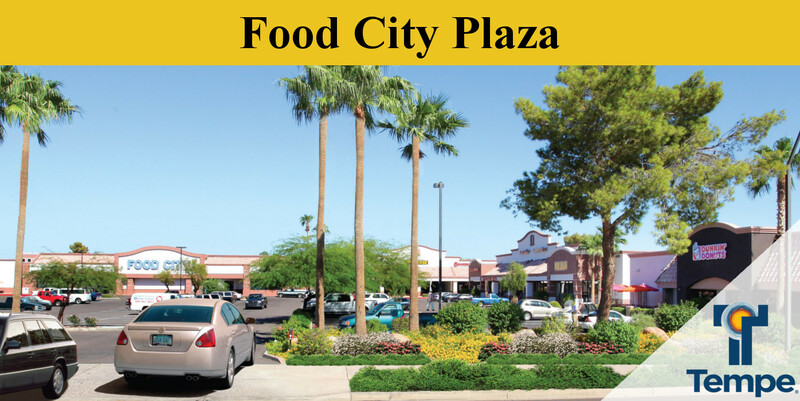 Marcos de Niza Plaza is located across from Albertson’s Grocery & Pharmacy Store, Jack in the Box and Circle K. It’s no surprise that prospective tenants view Marcos de Niza as a location that brings a potentially high surrounding customer base. Peter Piper Plaza is located on the Southeast corner of Baseline Road and McClintock Drive in Tempe, Arizona directly across the street from Target, Fry’s Marketplace and Chapman Chevrolet. This retail shopping center is well known for a unique tenant mix that includes Peter Piper Pizza, Radio Shack, Ace Hardware, Sherwin Williams, and Jack in the Box. This retail center has been meticulously maintained and underwent an exterior renovation in 2012. 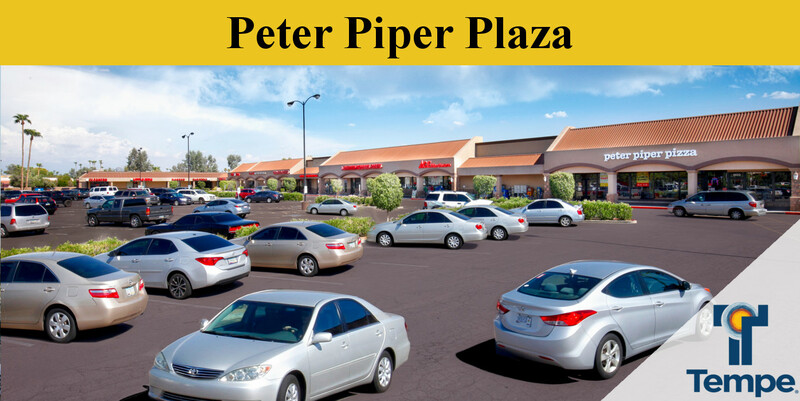 Peter Piper Plaza is the perfect infill location for almost any new, relocating or expanding business. Royal Palm Plaza is a unique community retail center located at the Southeast corner of McClintock and Elliot Road in the heart of Tempe Arizona and has been meticulously maintained making it look better today than the day it was built. 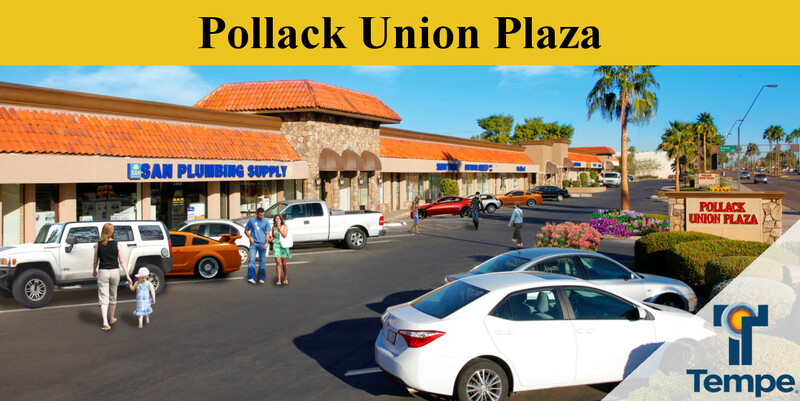 This retail center has a wide variety of tenants including one of the valley’s most prestigious entertainment cinemas, Pollack Tempe Cinema. Other notable tenants include Goodyear Automotive Center, Yupha’s Thai Kitchen, Vincitorio’s Italian Restaurant, and Allstate Insurance Agency. 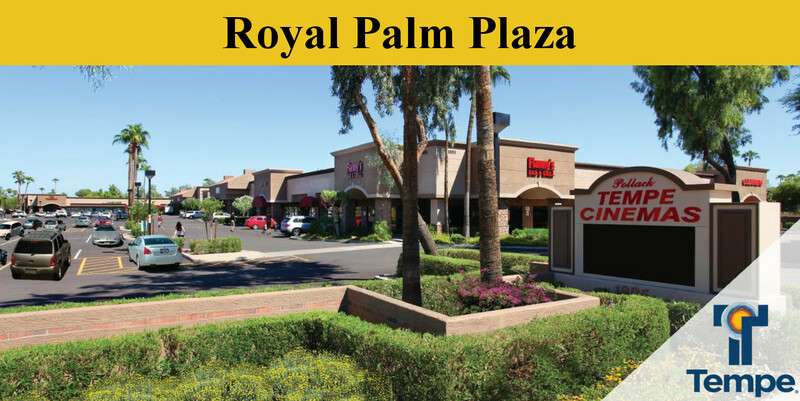 The professional landscaping and modern design elements make Royal Palm Plaza an excellent location for almost any new, relocating, or expanding retail business. Union Plaza, located along highly traveled Scottsdale Road in Tempe, Arizona, is one of Michael Pollack’s latest and most exciting retail redevelopments. The highly visible 38,000 square foot retail strip center provides exceptional exposure to nearly 33,000 cars that travel along Scottsdale Road on a daily basis. Union Plaza is currently demised into 15 individual retail units with spaces ranging from 800 to 10,000 square feet in size.